In case you are planning to move your home or office, you are probably thinking about hiring a professional moving company that can help you with this task. This is certainly a good idea, but whenever you choose this option you must pay some time to get a moving estimate. There are many reasons why quotes are important. If you learn more about these reasons you will find out why these quotes are so useful. By understanding the quotes, you will also be able to minimize moving costs. So, let’s highlight some of the reasons. To start with, with the help of these estimates, you can easily make comparisons. As you are probably aware, there are dozens of moving companies offering their services on the market. Of course, the price is not the only or the most important factor that should determine your decision about the company you will choose, but it will obviously help you make the right choice. Furthermore, getting an estimate/quote is not only about the price because they consist of few other elements. Once you receive a moving quote, you can make a comparison between different providers about the most important elements of a moving process. 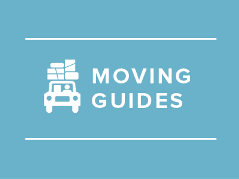 These are some of the crucial things that you should look for: overall cost, hourly rate, additional fees, unpacking and packing and loaded pound weight. Thanks to the moving estimate, you will find out what are you paying for. This is also a great way to prepare yourself to earn, find and save money for this process. In addition, if you feel that you cannot pay for the entire service, you can eliminate some things to save money. For example, many people decide to pack and unpack their belongings without the help of the professional who work for the moving company. Furthermore, by opting for this solution, you will avoid many unpleasant situations which is very important because the moving process itself can be very stressful. Once you receive the moving estimate, you will get a chance to focus on the moving process. If you choose a company that is not professional and inexperienced, you will probably regret that you have decided to move. When you get the estimate you will get the necessary information to determine whether the company is professional or not. A good company will provide detailed info about all the things they are charging for. Obviously, you should use the help of the Internet to learn more about the professionalism of the company that you are interested in. Finally, by asking and receiving moving estimates, you can protect yourself from scams. Unfortunately, there are many people who use the Internet to pull scams. They won’t provide you an estimate and they can add some “hidden” fees in the end. However, if you have received an estimate, they won’t have a chance to do this. According to many experts, you should avoid using the services of moving companies that don’t provide free estimates.